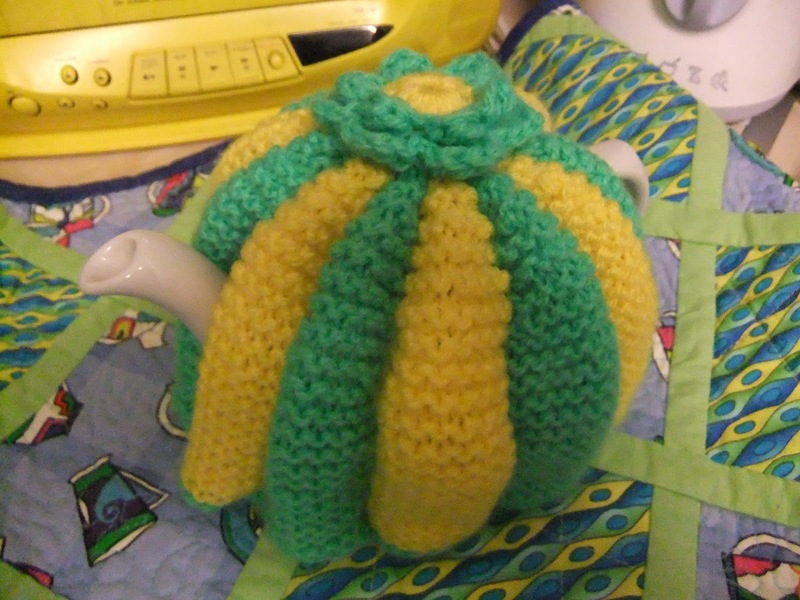 Apple Tree Crafts: Tea anyone? And cupcakes, of course! 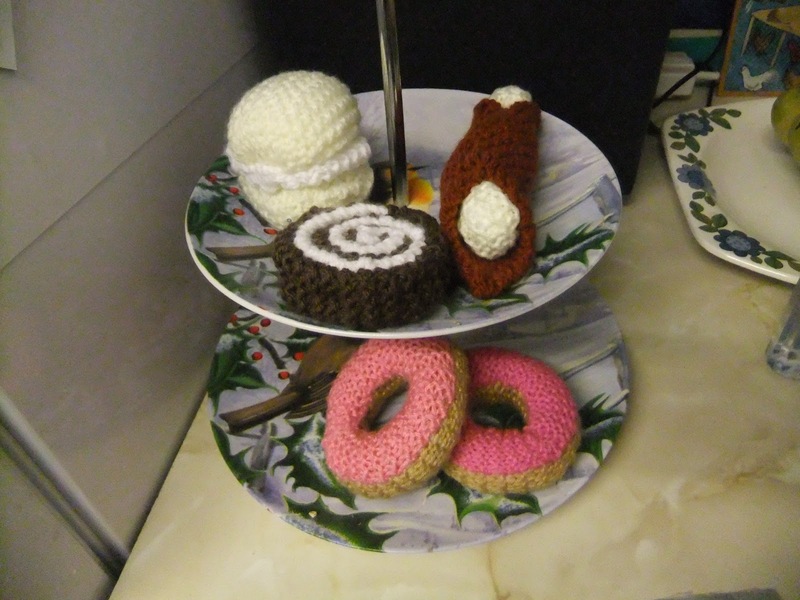 The local pub had a McMillan Coffee morning last Saturday and I made a few cupcakes for them, I had to keep a few just to test. 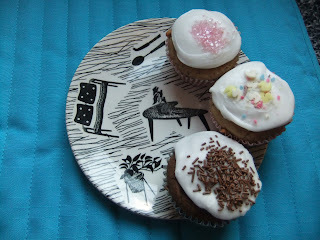 An occasional use of the 1960s 'Homemaker' plate. The tea will keep nice and warm with this little knitted cosy. 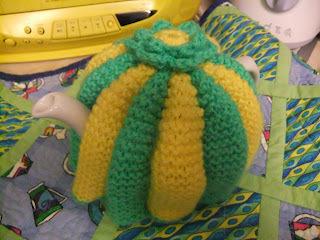 I found the pattern on Ravelry and adapted it for this tiny one cup teapot. Just love the flower on top! 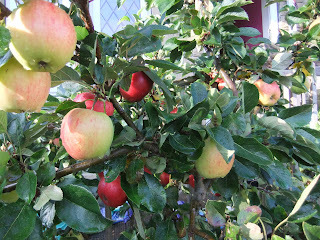 The apple tree is laden with fruit - I was thinking this was a little earlier than last year and then a programme on TV said it was to do with the weather and apples were a good month earlier. 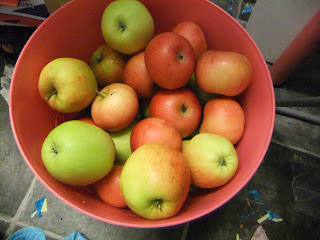 A bin full of apples. 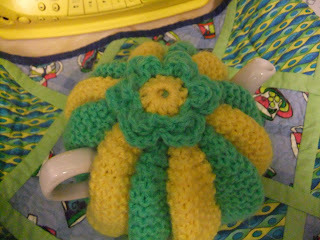 I can't claim to have made this myself! 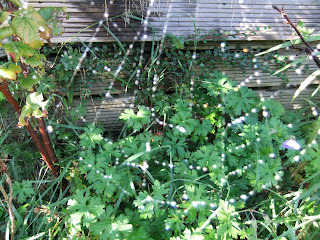 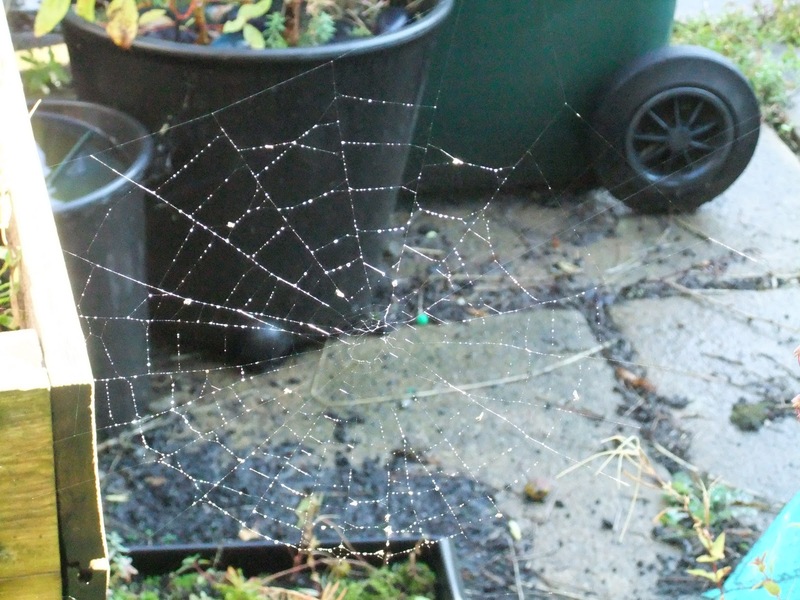 It stretched across half the garden (but then my garden is quite small).